It would seem I’m on a bit of a snowflake roll at the moment! As promised earlier this week here is the final instalment of the Feather Snowflake Trio – the Large Feather Snowflake. 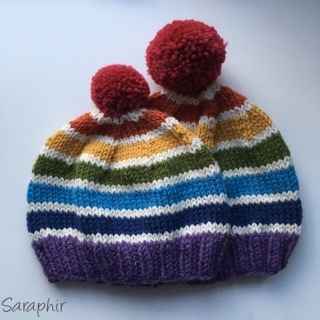 I posted the pattern for the Medium Feather Snowflake earlier this week and the pattern for the Small Feather Snowflake was the first out at the end of September. In between thinking up new patterns and refining old ones I am at the moment very busy making stock for this year’s Christmas markets and snowflakes are a very important product for me. They are definitely a best-seller leading up to Christmas and I never fail to be amazed at how many strings I sell. 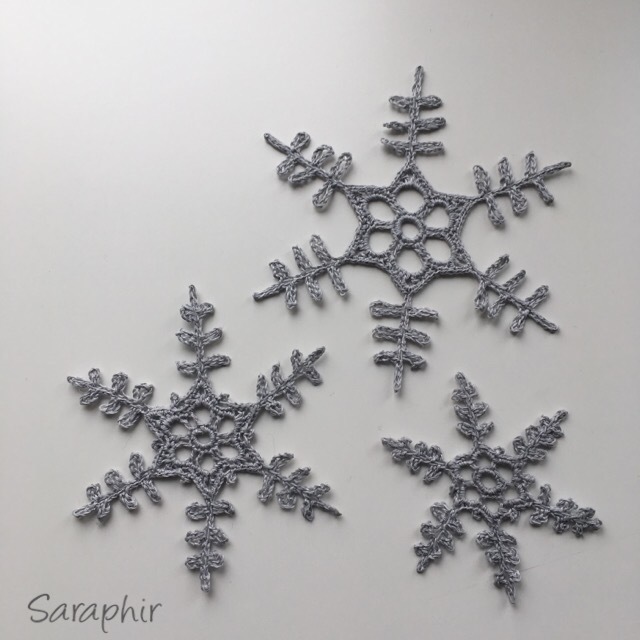 I make my snowflakes using 3-ply linen yarn and a 2 mm hook. It makes the snowflakes stiffer and very fine, which I think is what appeals to people at the markets. 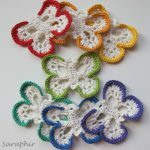 You’ll need to block the snowflakes after use and I stiffen mine after blocking using a mixture of PVA-glue and water – this is essential if you want them to keep their shape when hanging. Below you can see a picture of all three snowflakes together. 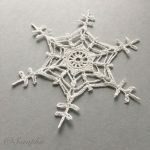 When made with 3-ply yarn the large snowflake measures 14 cm, the medium measures 12 cm and the small measures 9 cm from tip to tip. And now to the pattern. 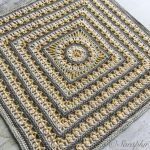 It is written out in both UK and US terms (you can find a guide to abbreviations on the page Crochet Terms. 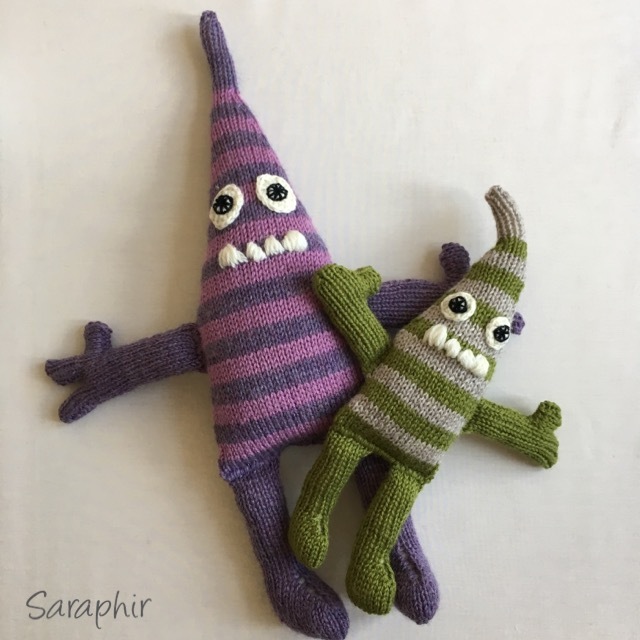 Please remember that these are my designs and are my copyright. So feel free to use them for yourself, but please do not repost the pattern as yours and please credit me as the designer if you sell what you make – thanks! 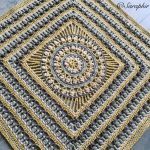 Pattern for large feather snowflake – UK terms. Foundation ring: chain 8, ss in first chain to form a ring. Round 1: ch 1 (doesn’t count as a st), 18 dc in ring, ss in first dc. Round 2: ch 3 (counts as a tr), 1 tr, ( ch 7, skip 1 dc, 1 tr in 2 dc ) x 5, ch 7, ss in 3rd ch of first 3 ch. Round 3: ss in 1 tr and 7 ch sp, ch 1, (2 dc, 1 htr, 1 tr, 2 ch, 1 tr, 1 htr, 3 dc) in 7 ch sp, * skip 2 tr, (3 dc, 1 htr, 1 tr, 2 ch, 1 tr, 1 htr, 3 dc) in 7 ch sp, * repeat from * to * 4 more times, skip 2 tr, ss in first ch. Round 4: ss in 1 dc, ch 1, 1 dc in next 3 st, * work in 2 ch sp: (2 dc, ch 2, ch 10, ss in 10th ch from hook, ch 2, ch 9, ss in 9th ch from hook, ch 2, (ch 8, ss in 8th ch from hook) x 3, ss in 2 ch, ch 9, ss in 9th ch from hook, ss in 2 ch, ch 10, ss in 10th ch from hook, ss in 2 ch, 2 dc), 1 dc in next 4 st, skip 2 dc,** 1 dc in next 4 st *, repeat from * to * 5 more times, ending at ** the last time, ss in 1st ch. Fasten off and sew in ends. Pattern for large feather snowflake – US terms. Round 1: ch 1 (doesn’t count as a st), 18 sc in ring, ss in first sc. Round 2: ch 3 (counts as a dc), 1 dc in next sc, ( ch 7, skip 1 sc, 1 dc in next 2 sc ) x 5, ch 7, ss in 3rd ch of first 3 ch. Round 3: ss in 1 dc and 7 ch sp, ch 1, (2 sc, 1 hdc, 1 dc, 2 ch, 1 dc, 1 hdc, 3 sc) in 7 ch sp, * skip 2 dc, (3 sc, 1 hdc, 1 dc, 2 ch, 1 dc, 1 hdc, 3 sc) in 7 ch sp, * repeat from * to * 4 more times, skip 2 dc, ss in first ch. Round 4: ss in 1 sc, ch 1, 1 sc in the next 3 sts, * work in 2 ch sp: (2 sc, ch 2, ch 10, ss in 10th ch from hook, ch 2, ch 9, ss in 9th ch from hook, ch 2, (ch 8, ss in 8th ch from hook) x 3, ss in 2 ch, ch 9, ss in 9th ch from hook, ss in 2 ch, ch 10, ss in 10th ch from hook, ss in 2 ch, 2 sc), 1 sc in next 4 st, skip 2 sc,** 1 sc in next 4 st *, repeat from * to * 5 more times, ending at ** the last time, ss in 1st ch. Fasten off and sew in ends. And then on to the blocking and stiffening. 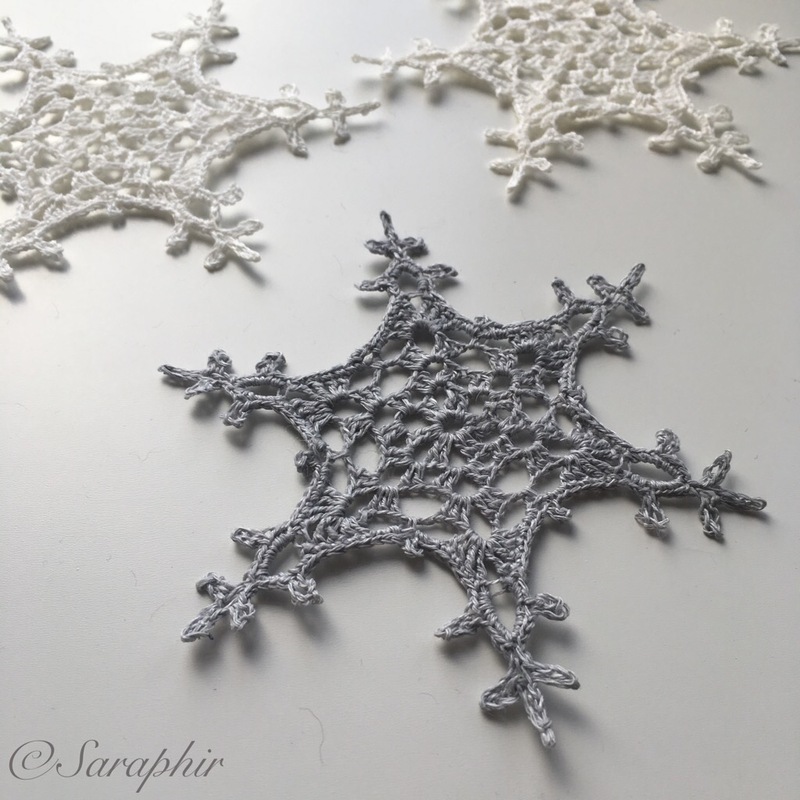 If you would like these three snowflake patterns in one neat PDF file with a photo tutorial for the largest snowflake you can get it in my Etsy shop or Ravelry Store for a small sum. 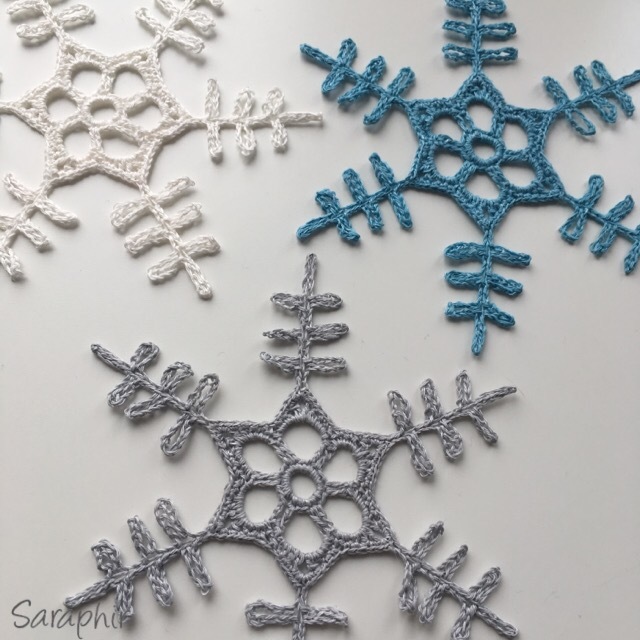 I hope you enjoy making these snowflakes and would love to see your versions – you can tag me on Instagram or post photos to my Facebook Page – or list them as a project on Ravelry. Thank you! 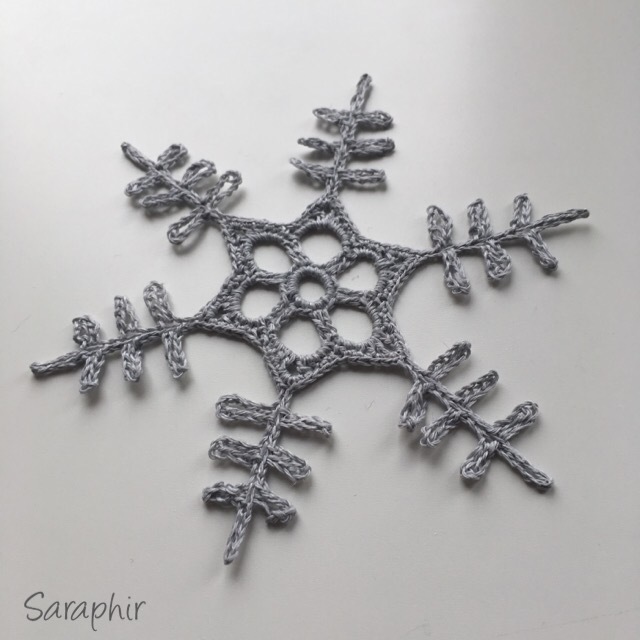 There’ll be more patterns coming in the near future, including more snowflake patterns, so stay tuned! Happy Making! 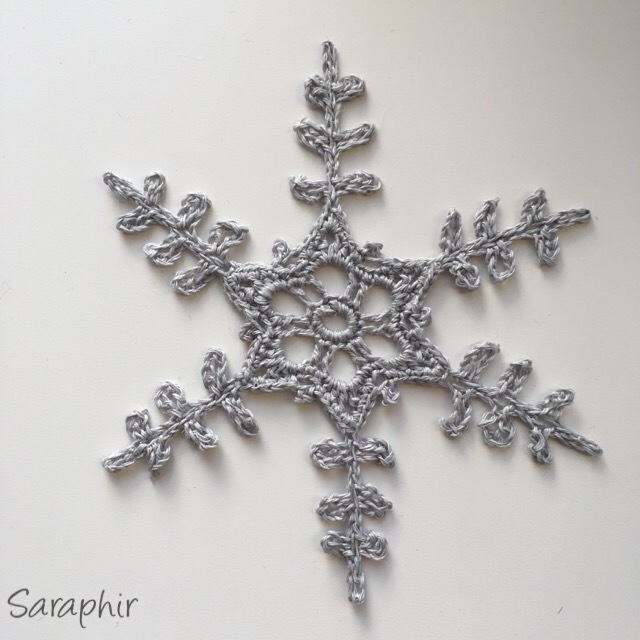 Thank you so much for your free snowflake patterns! It was a pleasure giving a small donation. And now on to make some snow!